Brazil, India and China are the leading agricultural biotechnology innovators on the developing country arena. Indeed, 2010 was the first year that agricultural biotechnology products created by developing countries reached the market. This was only possible after years of investment on their local R&D programmes and the promotion of public policies that supported agricultural biotechnology. Can Mexico be among this group of innovators? This book examines the institutional drivers currently being used in Mexican agricultural biotechnology policy. 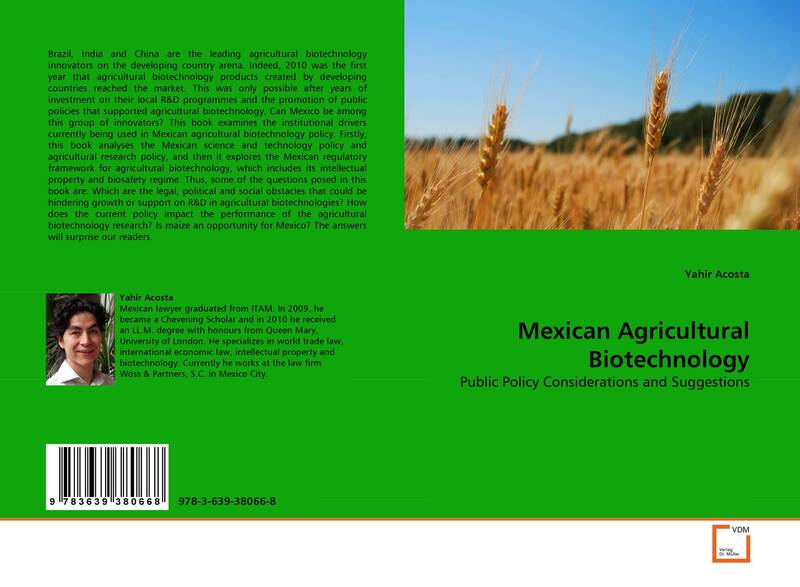 Firstly, this book analyses the Mexican science and technology policy and agricultural research policy, and then it explores the Mexican regulatory framework for agricultural biotechnology, which includes its intellectual property and biosafety regime. Thus, some of the questions posed in this book are: Which are the legal, political and social obstacles that could be hindering growth or support on R&D in agricultural biotechnologies? How does the current policy impact the performance of the agricultural biotechnology research? Is maize an opportunity for Mexico? The answers will surprise our readers.